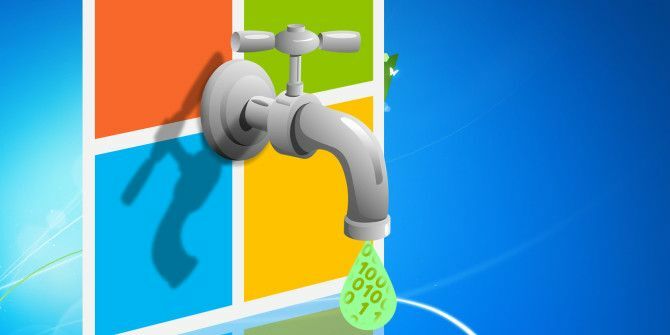 Is Microsoft Gathering Data From You in Windows 7 and 8? You haven’t upgraded to Windows 10 How to Upgrade to Windows 10 Now & Why You Should Wait How to Upgrade to Windows 10 Now & Why You Should Wait Have you been waiting patiently since July 29 for your Windows 10 upgrade? You should probably wait until you receive an official notification, but if you are determined, you can force the Windows 10 upgrade. 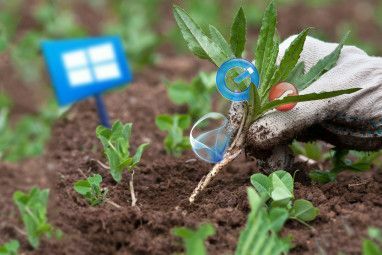 Read More because you’re worried about privacy Everything You Need to Know About Windows 10's Privacy Issues Everything You Need to Know About Windows 10's Privacy Issues While Windows 10 has some issues that users need to be aware of, many claims have been blown out of proportion. Here's our guide to everything you need to know about Windows 10's privacy issues. Read More and you’re using Windows 7 or 8? Microsoft has released a series of updates for your operating system that essentially replicate Windows 10’s diagnostics tracking. The good news, though, is that in Windows 7 and 8 you can control which updates are installed When Windows Update Fails, This Is How You Fix It When Windows Update Fails, This Is How You Fix It Did a Windows Update crash your system? Here's a quick list of troubleshooting steps that will help you restore Windows to a functional state. Read More . We have reviewed the updates in question and will show you how to get rid of them. CEIP is an opt-in program and it has been around since early 2009. Through CEIP, Microsoft receives “information about Microsoft products as well as limited information about third-party applications that interact with Microsoft products.” Microsoft uses the data to solve problems and improve popular products and features. Since users cannot review which information is collected, “the CEIP program limits the type of information that can be collected and how that information can be used.” The details can be found in the CEIP Privacy Statement. To protect your privacy The Best VPN Services The Best VPN Services We've compiled a list of what we consider to be the best Virtual Private Network (VPN) service providers, grouped by premium, free, and torrent-friendly. Read More , no contact information or data that could be used to identify you is recorded. Microsoft uses a globally unique identifier (GUID) to distinguish between anonymous individuals, which for example tells them whether 100 users have the same problem or whether 1 user has the same problem 100 times. If you are still uncomfortable with Microsoft collecting any information, don’t participate in CEIP. Should you have joined the program in the past, Microsoft lets you opt out anytime. We’ll show you how below. Which Updates Are We Talking About? 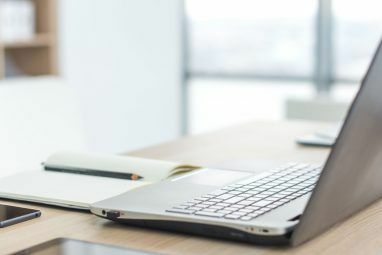 Since April, Microsoft has released four optional Windows updates that address customer experience and diagnostic telemetry. The affected operating systems are Windows 7 SP1, Windows 8.1, Windows RT 8.1, Windows Server 2012 R2, and Windows Server 2008 R2 SP1. This update introduces the Diagnostics and Telemetry tracking service to existing devices. By applying this service, you can add benefits from the latest version of Windows to systems that have not yet upgraded. The update also supports applications that are subscribed to Visual Studio Application Insights. The phrase “the latest version of Windows” appears to refer to Windows 10. Maybe Microsoft is planning to bring the Windows Feedback app to Windows 7 and 8.1 and is laying the groundwork by expanding the existing CEIP infrastructure, to support better data collection for error reports. This, however, is pure speculation on our part. This package updates the Diagnostics and Telemetry tracking service to existing devices. This service provides benefits from the latest version of Windows to systems that have not yet upgraded. The update also supports applications that are subscribed to Visual Studio Application Insights. Reduces the network connections on a Windows system that doesn’t participate in the Customer Experience Improvement Program (CEIP). 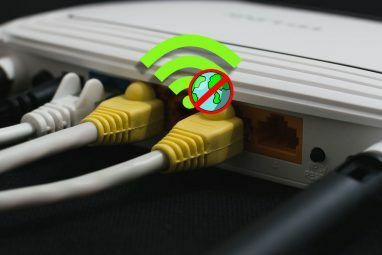 In other words, even if you did not opt into CEIP, you may see these updates and Microsoft will make network connections, which suggests they are sending or receiving data. This could be interpreted to mean that Microsoft may have collected data of users who didn’t opt into CEIP. Some pre-release products that are under development might require participation in CEIP to help ensure the final release of the product improves frequently used features and solves common problems that exist in the pre-release software. For example, Microsoft Office per default signs you up for CEIP. How Can You Get Rid of Updates & CEIP? The first thing you should do is to opt out of CEIP. In Windows 7, 8.1, and even 10, press the Windows key or go to Start, type Customer Experience Improvement Program (alternatively: Control Panel > Action Center > Change Action Center settings > Customer Experience Improvement program settings), then select No, I don’t want to participate in the program, and click Save Changes. Most programs make CEIP options available from the Help menu, although for some products, you might need to check settings, options, or preferences menus. In the case of Microsoft Office, How-To Geek has outlined how you can opt out of CEIP. To completely disable CEIP, head to Control Panel > Administrative Tools > Task Scheduler. In the Task Scheduler’s Local pane, expand the Task Scheduler Library and open the folders Microsoft > Windows > Application Experience. Now right-click the AITAgent and ProgramDataUpdater tasks and select Disable. Then head to the Customer Experience Improvement Program folder and disable the tasks Consolidator, KernelCeipTask, and UsbCeip. Even though we never opted into CEIP, we still saw update KB3068708 installed on our Windows 8.1 system. That’s because we had agreed to automatically install updates classified as recommended, which automatically upgrades them to important. On Windows 7, where we chose not to treat recommended updates like important ones, KB3068708 was listed under optional updates. None of the other updates were offered to us, not even as optional. If you have also see any of the updates listed above, you can manually remove and hide them. Briefly, head to Windows Update Windows Update: Everything You Need to Know Windows Update: Everything You Need to Know Is Windows Update enabled on your PC? Windows Update protects you from security vulnerabilities by keeping Windows, Internet Explorer, and Microsoft Office up-to-date with the latest security patches and bug fixes. Read More in the Control Panel, open Installed Updates from the bottom left of the sidebar, select the troublesome update/s, and click the Uninstall button. The update(s) should now re-appear in the list of Optional Updates. When Windows offers you updates to install, select X optional update/s is/are available, right-click each update in question and select Hide update. By tracking application usage and errors, Microsoft learns how software is being used and what causes issues. If many users make the same “mistake” or cause the same error, it hints to (design) problems with the software. The data can help Microsoft improve software and reduce frustrating experiences. It’s disappointing that a program promoted as optional appears to have activated itself. And it’s unfortunate that we don’t know what exactly certain updates will do and that we cannot monitor what kind of data is sent via diagnostics and telemetry tools. We have to trust Microsoft has good intentions or — if in doubt — we have to take action and protect our privacy. What is your choice? Do you trust Microsoft on this, did you disable CEIP, or have you taken more drastic measures? We’re curious to hear your point of view! Explore more about: Computer Privacy, Windows 7, Windows 8.1. Thanks for the information. I was sure I had opted out of CEIP, but Glary Utilities shows me I had AitAgent running. Grrrr. I have updates turned off altogether, mostly because I'm scared to death they will just install Windows10. Just now I disabled AitAgent and the Consolidator, KernelCeipTask, and UsbCeip. There is no reason in the world to allow all this stuff to run when it benefits my system not at all. Now I'm looking for ways to get rid of Windows Media Player crap. Yeah, I'm using Win7 but nothing is better than my XP system. My Love For XP Can Not Stop Growing.